Black antique iron straight door bolt with octagonal sliding knob detail. 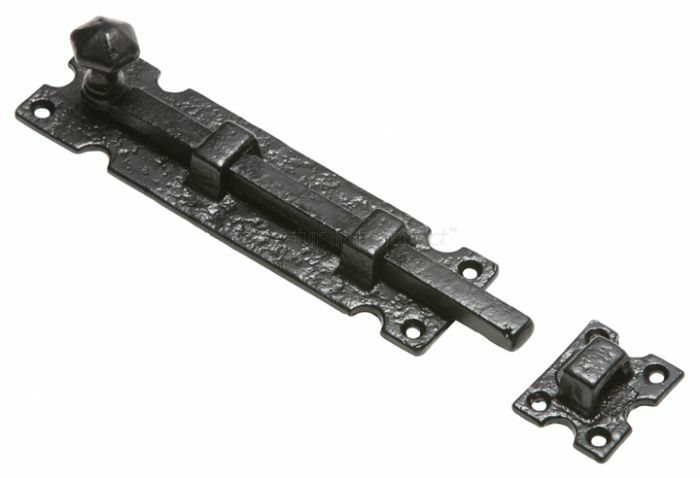 Approximate dimensions: Bolt plate size 228x54mm, bolt length 254mm. Supplied complete with fixing screws.